Like me, you probably feel like your hair can make or break your look for the day. We all love a good hair day. Unfortunately this week, the weather here in New York City has decided to not cooperate. Rain and humidity can wreak havoc on perfectly styled hair. However, you’re not completely defenseless against mother nature. Here are my 10 rainy day hair tips. If you’re someone who washes daily, during rainy weather, try and skip a day or two. Washing every day can also strip your hair of its natural moisture. This is especially important for those with naturally curly hair. Find the right balance that works for your hair type. Dry hair is more prone to the effects of frizz. The excessive washing combined with the moisture in the air will activate all that frizz. If you’re entering a rainy week and you have five days of rain to combat, you’re going to need to wash your hair at some point…it’s a given. When you do blow dry your hair, blow dry it thoroughly. Any extra moisture in your hair combined with the rain and humidity is no good. 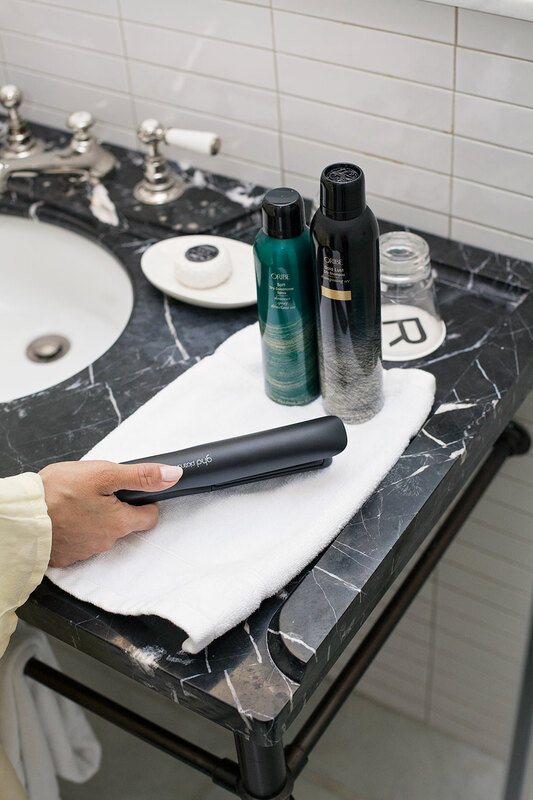 The best way to make sure you get out all the moisture is to blow dry your hair in sections. This will ensure you don’t miss anything. It’s our natural reaction to touch our hair when we think it’s getting frizzy. We try and smooth it out with our hands. Don’t do this. Try and keep your hands out of your hair, particularly when it’s raining. This creates more friction in your hair, therefore causing even more frizz. If you’re someone who touches your hair a lot, maybe consider learning a new hairstyle. I know. Easier said than done but give it a go. When it comes to keeping the frizz controlled, consider using a lightweight conditioner, hair oil, serum or hairspray. Living Proof makes a great spray to deal with frizzy hair instantly called No-Frizz Instant De-Frizzer. It also comes in a travel size which is perfect for your purse or gym bag. If your hair is being really stubborn, you can try a product like Ghost Oil by Verb. Rahua’s Legendary Amazon Oil is a new favorite! They’re effective but also really lightweight. If you want a lightweight hold without a heavy product, consider using TRESemme’s Micro Mist to set the hair without weighing it down. I love beautiful curls and waves as much as the next person but it’s an uphill battle during this type of weather. You’ll just end up with frizzy hair that’s loaded up with a ton of product. That’s never a good look. 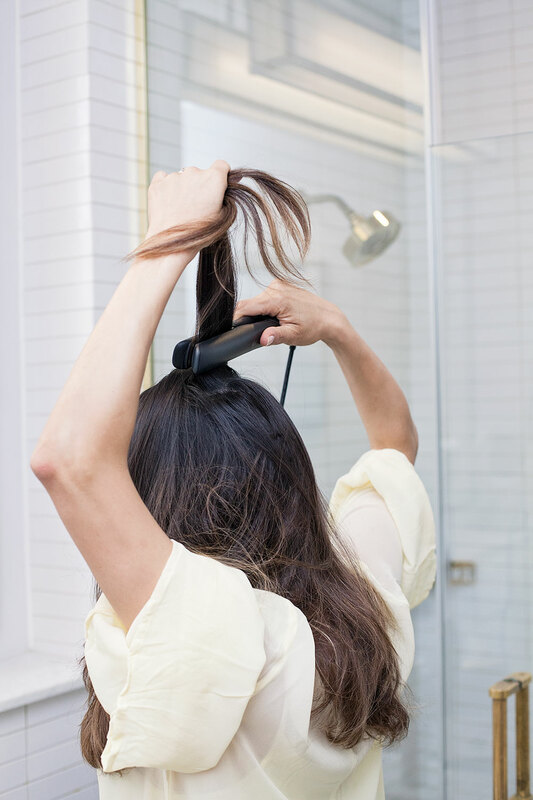 Opt for more sleek styles created by a hair straightener. There’s no better time to wear your hair straight and sleek. 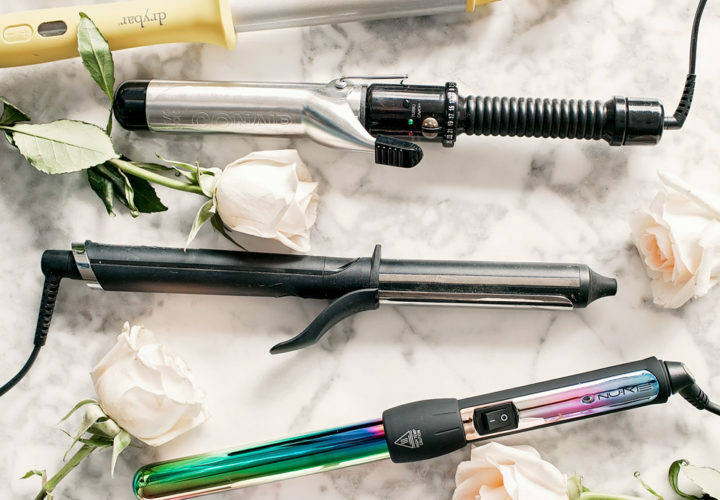 My go-to straightener is from Ghd. 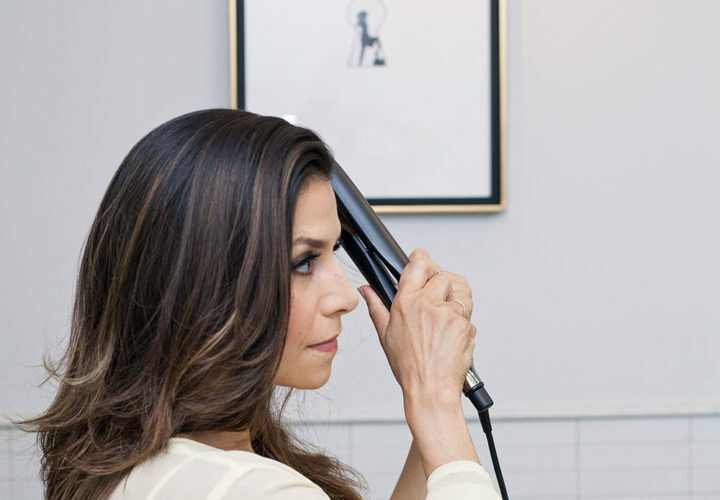 This straightener will give you an ultra sleek look without the damage. Get out all your favorite hair accessories…bobby pins, headbands, scrunchies, you name it! Use these to hold the hair in place and add a little spice to your rainy day look. Updos and sleek ponytails aren’t as vulnerable to frizz-inducing conditions. Mastering one or two of these styles will have you prepared for when the weather turns. You can check out some examples here and here. As I mentioned above, bobby pins are your friend. You can get them in different colors like here and here to show them with different geometric designs. When it’s raining outside and I have someplace important to go, I wear a scarf to hold my hair in place. It’s nice to double up with an umbrella! This will minimize any moisture in your hair. The slip pillowcase is a must in my world, so I’d recommend this pillowcase to anyone who wants to minimize frizz, raining or not. 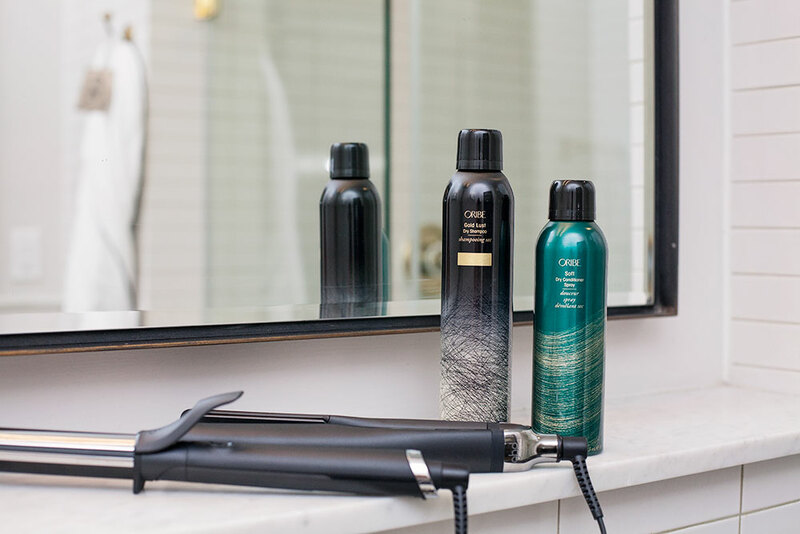 If all else fails, head to your local DryBar for a professional blowout. For those ladies who have an important meeting or interview, I don’t think this is a bad option. Just don’t forget your umbrella! You don’t have to let the weather dictate your good and bad hair days anymore. 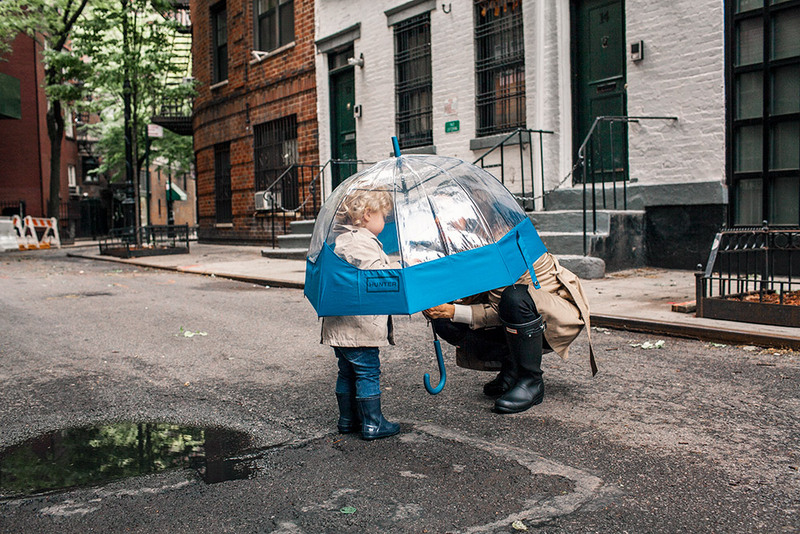 What are some of your rainy day hair tricks?